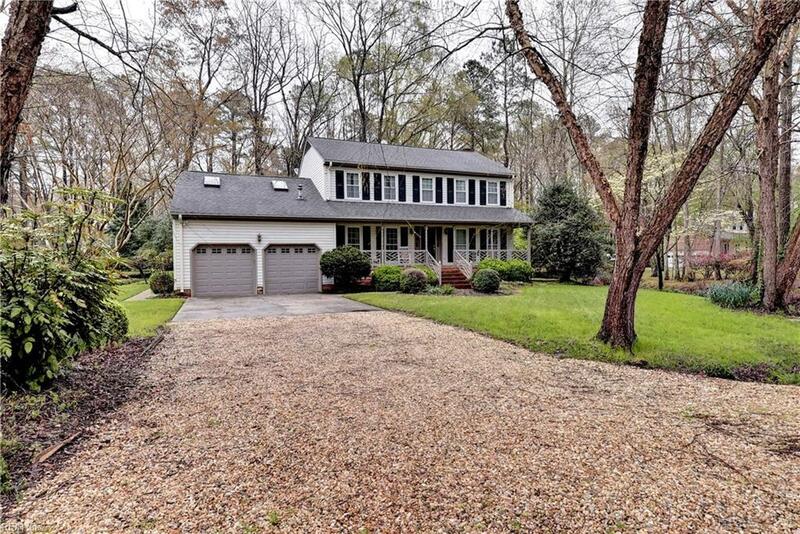 223 Aspen Blvd, York County, VA 23692 (#10251931) :: Abbitt Realty Co. 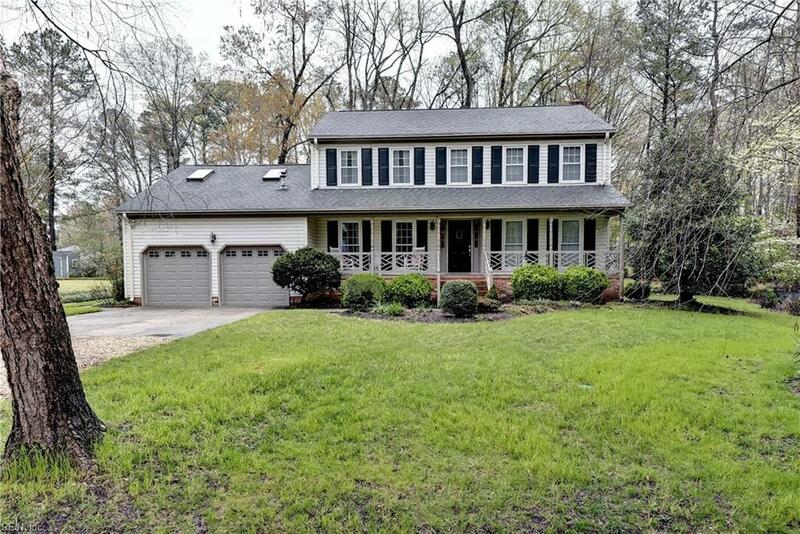 Located in the desirable Edgehill neighborhood & York school district, this Colonial style home is situated on almost a half acre lot of meticulous landscaping which you can enjoy from the inviting front porch or large multi-level rear deck & screened porch. 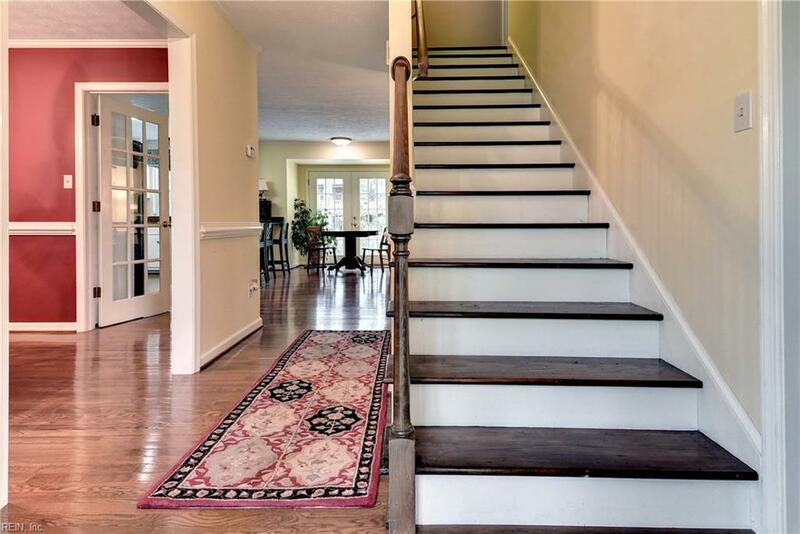 Inside you will step into the foyer with the formal living room & formal dining room to each side. The foyer then opens to the spacious kitchen featuring gorgeous granite counters, abundant cabinet space, desk, & breakfast nook with French doors that lead outside. The kitchen overlooks the sunken family room with wood burning fireplace, shiplap wainscoting, & stunning wood beams. Completing the downstairs you will find the sizable laundry room that leads to a full bathroom & stairs that will take you to the room over the garage, perfect for the teenager or live-in family member. Upstairs you will find the master suite with attached bathroom, 3 sizable bedrooms, all featuring generous closet space, & hall bathroom. Stunning hardwood floors up & down, replacement windows, & updated light fixtures makes this home move-in ready.